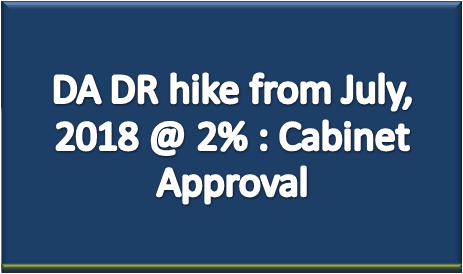 All India Consumer Price Index Numbers for Industrial Workers – CPI(IW) for June 2018 increased by two point and pegged at 291, based on the DA Calculation formula the DA as on June 2018 is 9.86%. 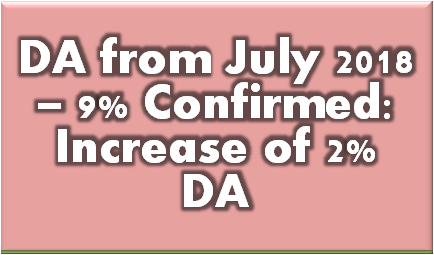 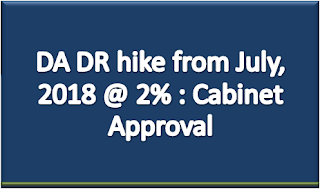 Expected da from july 2018 AICPIN for June 2018 is released today on 31st July 2018, even if the AICPIN increase or reduce by 6 points, the DA for the July 2018 will remain at 9%, but now confirmed,which means increase of 2% DA is confirmed. 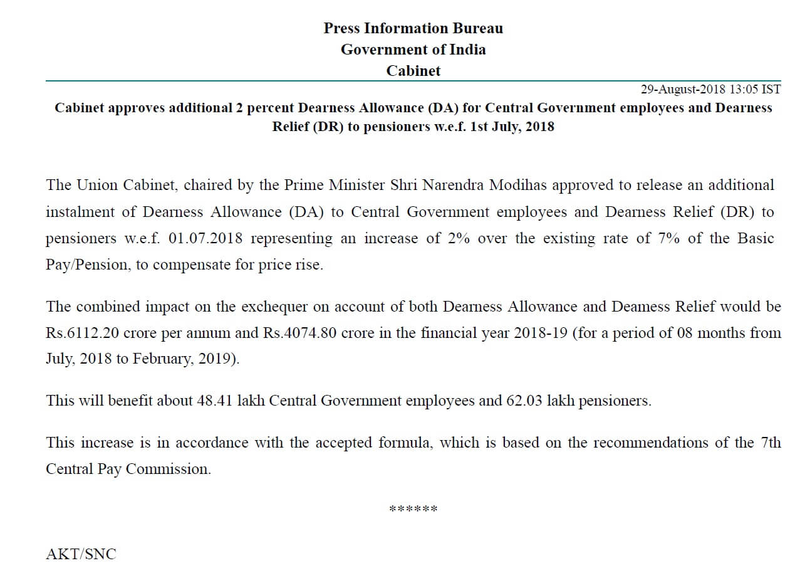 AICPIN for June month increase by 2 points i.e 291, then the DA will be 9.86% as on June 2018, but now it is 9% confirmed, 2% increase. 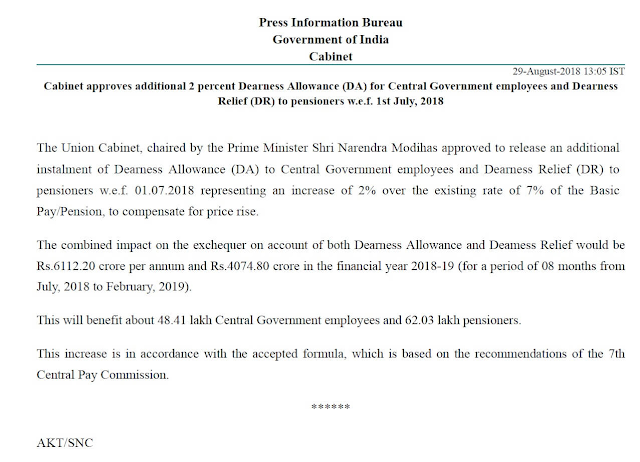 However we have to wait for the AICPIN data to finalize.